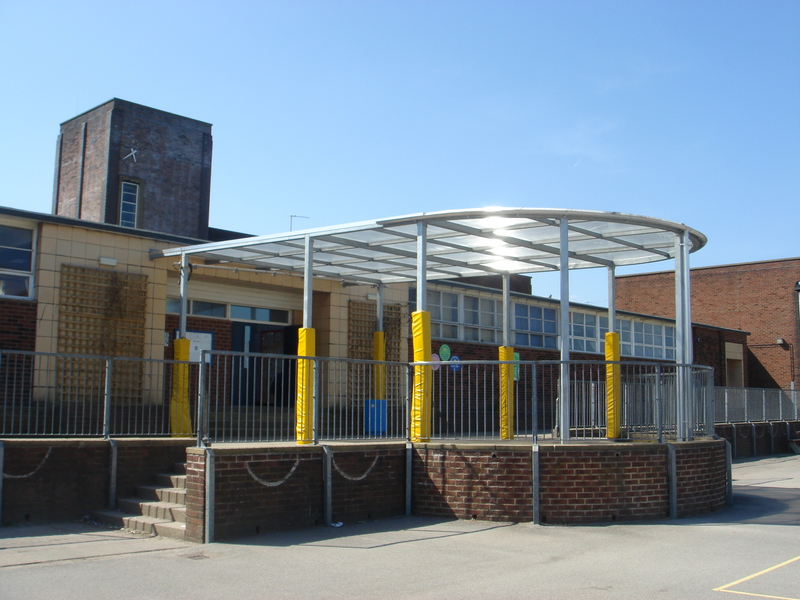 Door canopies can also be extended to provide additional shelter, to create a useful covered area or to link adjacent buildings. 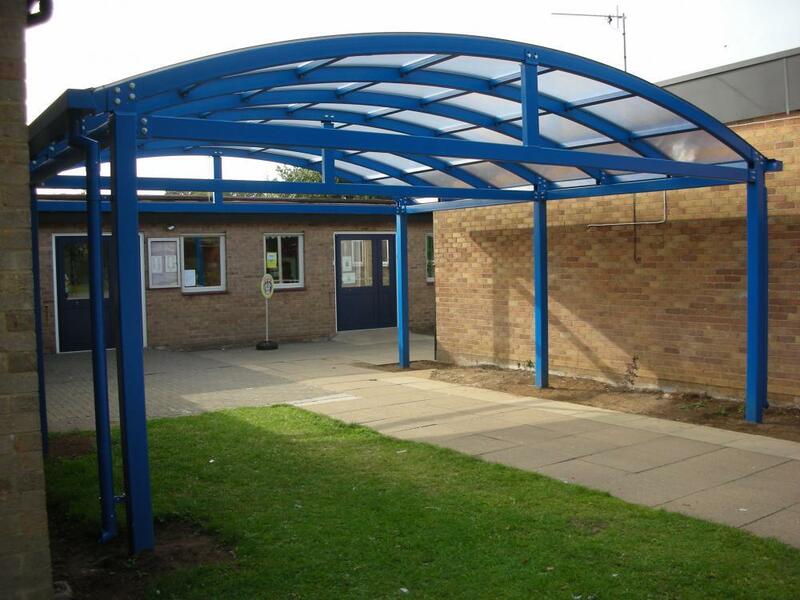 Entrance canopies don’t have to be small. 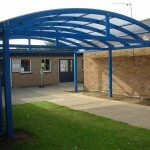 If space allows we can design an extended entrance canopy for you entrance area that transforms the space. 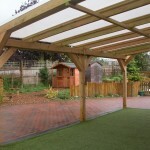 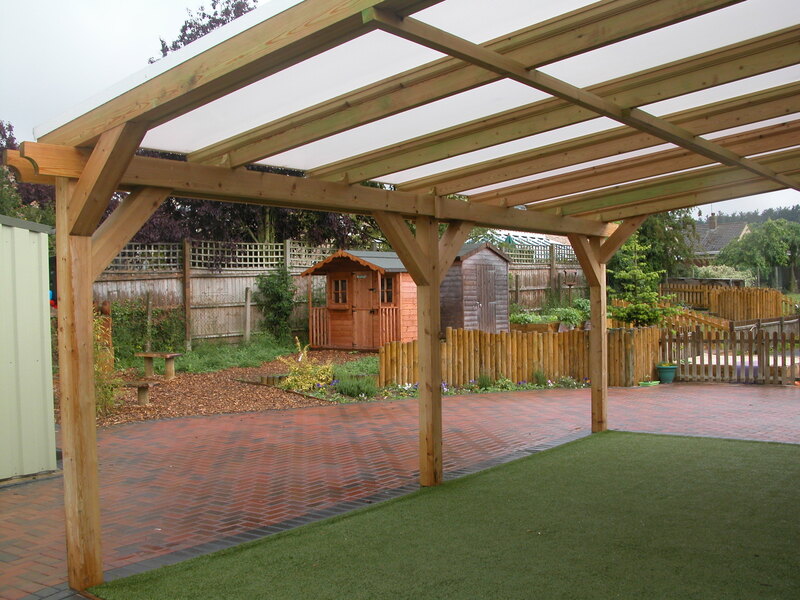 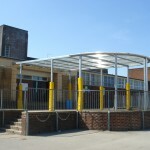 By providing shelter for the people using the building, an extended canopy can turn a previously unused area into an outdoor classroom, play or recreational area. 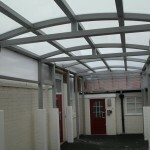 By extended a door canopy you can also link buildings making the movement between them easier and more comfortable. 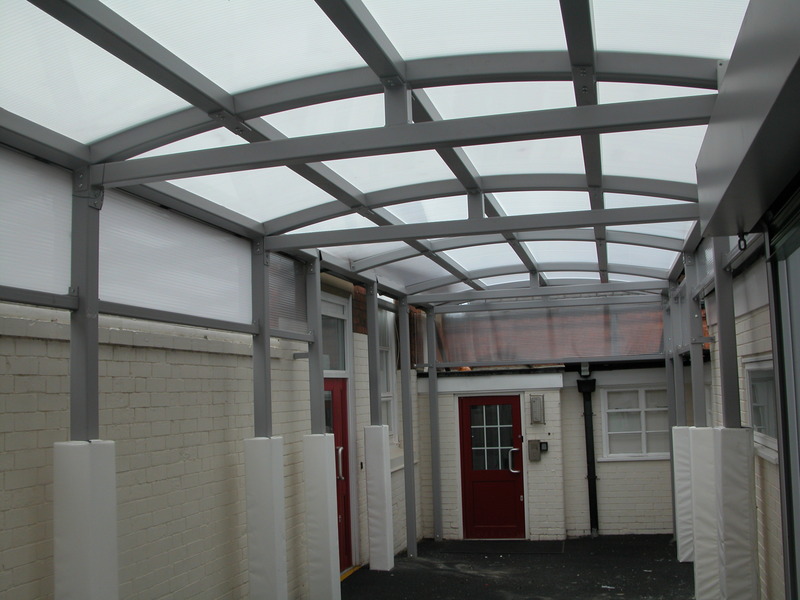 All our extended door canopies are designed to fit the environment and needs of our clients which gives you control over the look and finish you require. 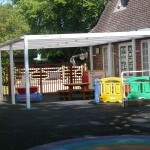 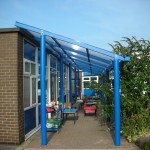 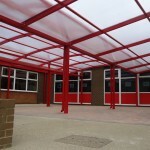 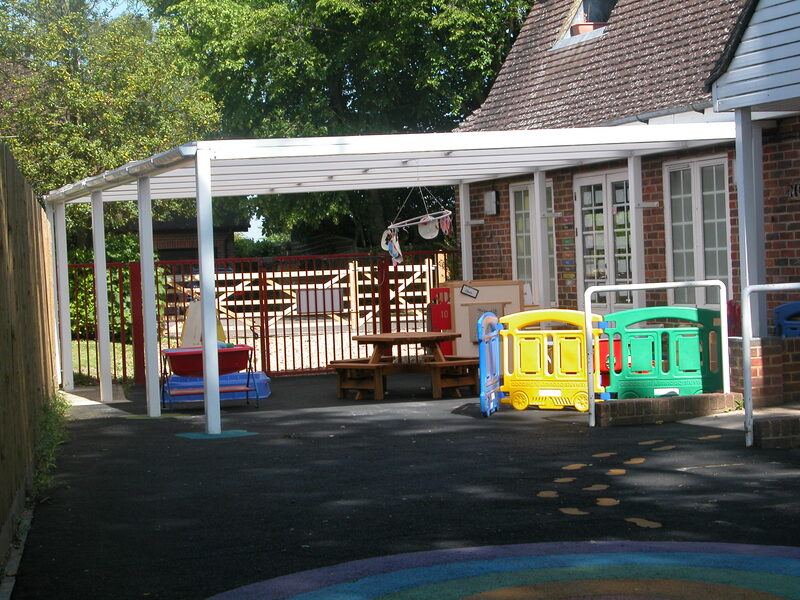 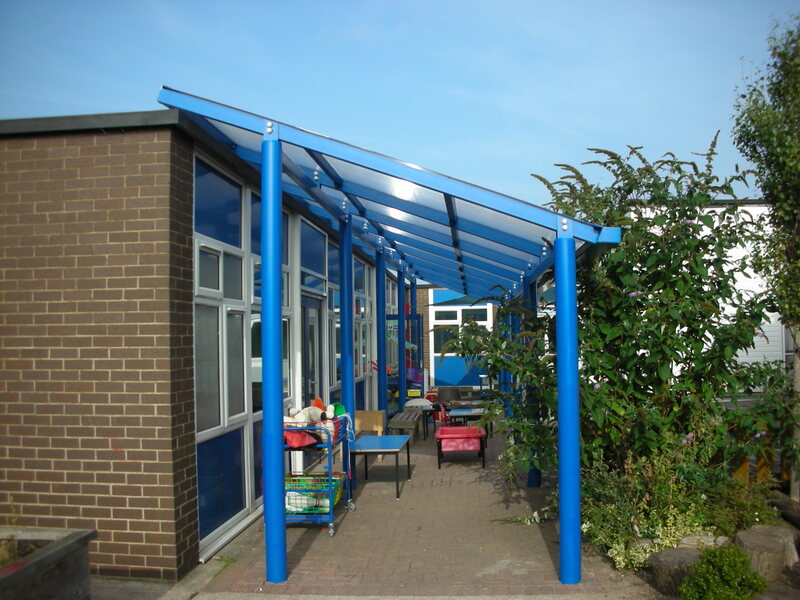 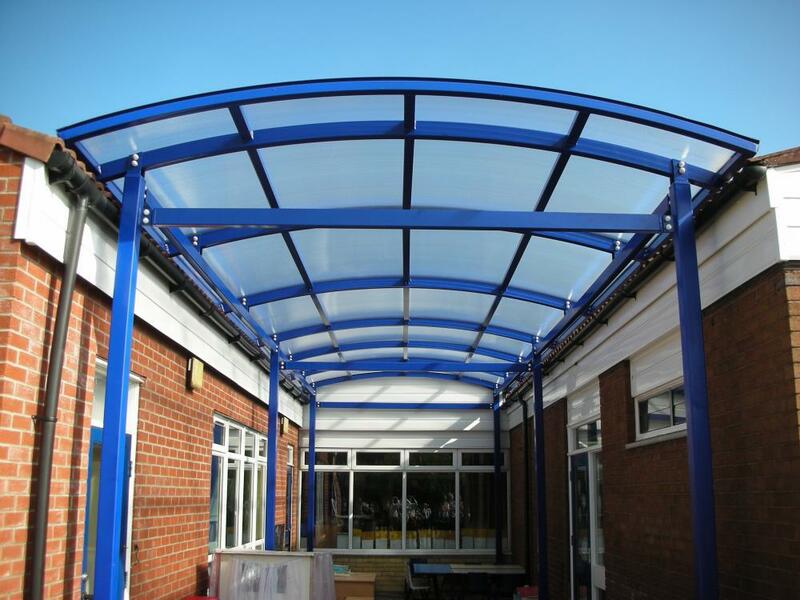 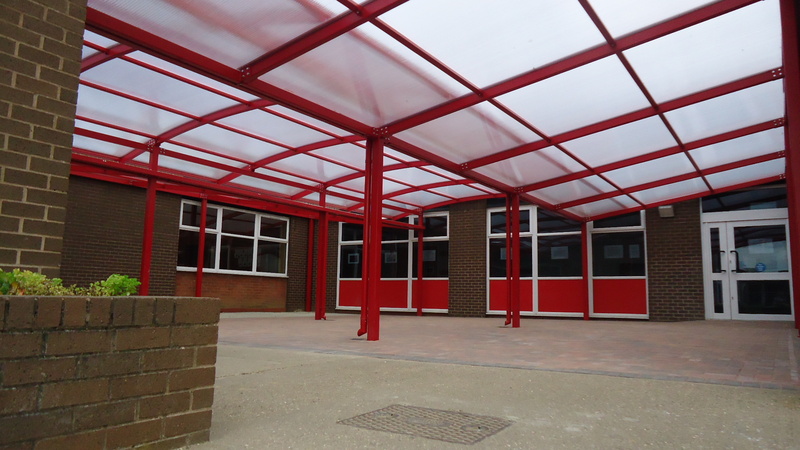 Canopies are designed, fabricated and installed by Lockit-Safe.